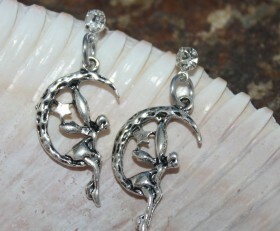 These adorable earrings feature a fairy sitting on the moon spreading her fairy dust. They hang from a clear crystal post. 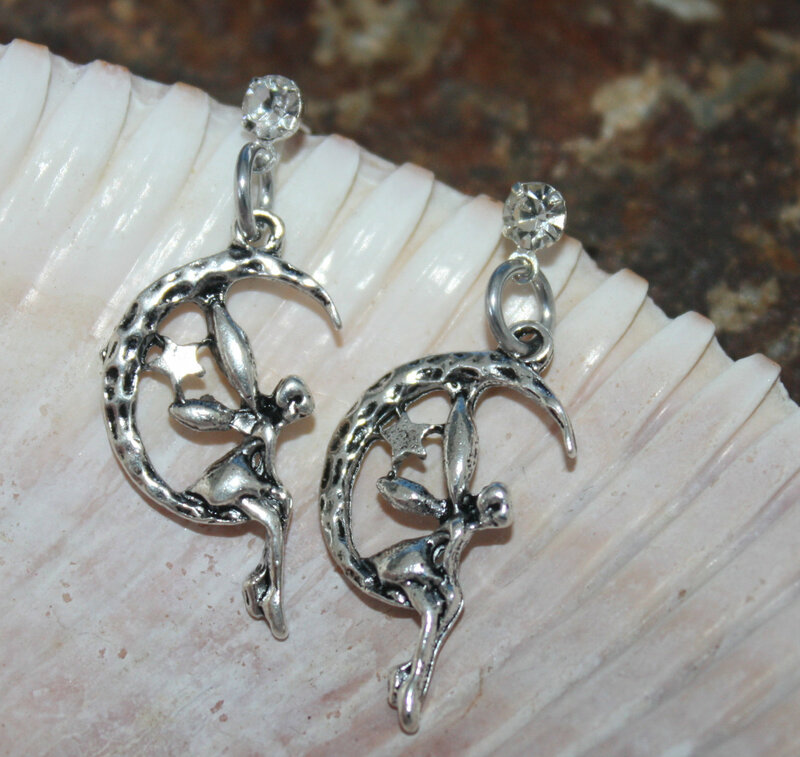 Categories: A Little Bit of Everything, Shop, Yoga / Zen Life Earrings, Yoga / Zen Life Jewelry.